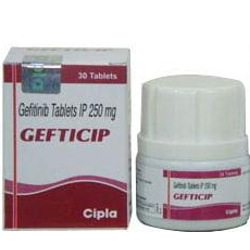 We sell Gefticip from Cipla at best prices and we also have Gefitinib at very good discounted prices in Caddiline Exports Pvt.Ltd at Nagpur or other Indian Regions as well as outside India to any other Countries of the world. 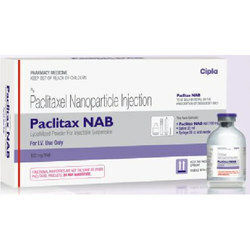 We sell Paclitax Nab from Cipla at best prices and we also have Paditaxel at very good discounted prices in Caddiline Exports Pvt.Ltd at Nagpur or other Indian Regions as well as outside India to any other Countries of the world. Paclitax is a mitotic inhibitor used in cancer chemotherapy. Paclitax is now used to treat patients with lung, ovarian, breast cancer, head and neck cancer, and advanced forms ofKaposi's sarcoma. 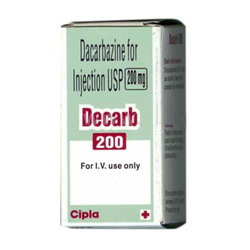 We sell Decarb from Cipla at best prices and we also have Decarbazine at very good discounted prices in Caddiline Exports Pvt.Ltd at Nagpur or other Indian Regions as well as outside India to any other Countries of the world. The main objective of our organization is to provide an encompassing gamut of Decarb . This decarb medicine is hygienically processed using qualitative ingredients under the guidance of professionals in adherence to set medical norms. Moreover, the offered decarb medicine is tested on several parameters by our quality controllers in order to dispatch a perfect range. Customers can avail this decarb medicine in diverse packaging & grades in a given time frame. We sell Soranib from Cipla at best prices and we also have Sorafenib at very good discounted prices in Caddiline Exports Pvt.Ltd at Nagpur or other Indian Regions as well as outside India to any other Countries of the world. We have gained immense recognition in offering premium quality Soranib Tablets. Offered soranib tablet is available in diverse packaging options in a given time frame. 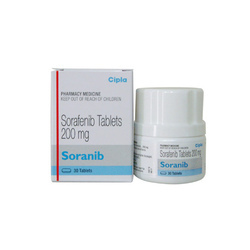 This soranib tablet is processed by using superior quality ingredients with the aid of latest methodology. Furthermore, offered soranib tablet is used for the treatment of primary kidney cancer and advanced primary liver cancer. 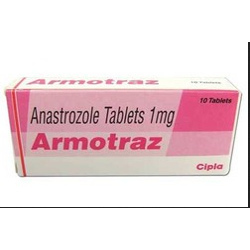 We sell Armotraz from Cipla at best prices and we also have Anastrozole at very good discounted prices in Caddiline Exports Pvt.Ltd at Nagpur or other Indian Regions as well as outside India to any other Countries of the world. Used to treat breast cancer, this armotraz tablet is processed under the direction of pharmaceutical experts as per the medical standards. Offered armotraz tablet is available in different packaging options within a given time frame. Our armotraz tablet is tested at our labs in order to supply an effective range to customers. 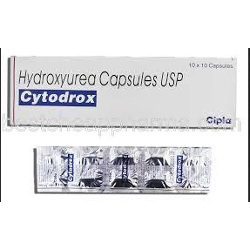 We sell Cytodrox from Cipla at best prices and we also have Hydroxyurea Capsules at very good discounted prices in Caddiline Exports Pvt.Ltd at Nagpur or other Indian Regions as well as outside India to any other Countries of the world. 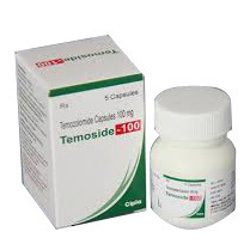 We sell Temoside from Cipla at best prices and we also have Temozolomide at very good discounted prices in Caddiline Exports Pvt.Ltd at Nagpur or other Indian Regions as well as outside India to any other Countries of the world. Strength:Temoside 100 mg/ Temoside 20 Mg/Temoside 250mg. Available in: 100 mg/ 20 mg/ 250mg. 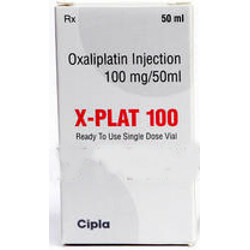 We sell X-Plat from Cipla at best prices and we also have Oxaliplatin at very good discounted prices in Caddiline Exports Pvt.Ltd at Nagpur or other Indian Regions as well as outside India to any other Countries of the world. We take pleasure to introduce ourselves as one of the renowned trader, exporter, distributor, wholesaler, retailer and supplier of Gefticip Tablets. Used for curing non-small cell lung cancer, these gefticip tablets are processed by vendor’s pharmaceutical experts using top quality ingredients in compliance with set medical standard. 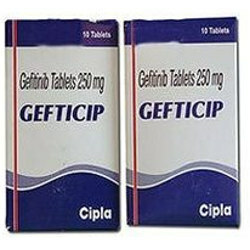 Offered gefticip tablets are acclaimed for their optimum quality and effectiveness. Looking for Cancer Medicine ?